Talk Thai Phrasebooks now available for Android devices! 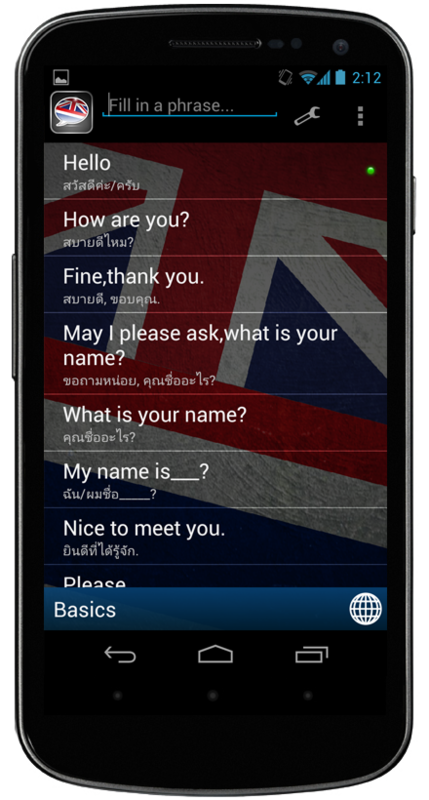 We’ve released an all new Talking Phrasebook for Android devices: Talk Thai! With more than 290 useful phrases and key words, split into 14 categories, this little gem is your number 1 language aid when traveling through the Kingdom of Thailand. Either let your phone say it in fluent Thai for you, or use Talk Thai to perfect your pronunciation. Once cached, the sentences can be played without network connection. English – Amazon / Google Play. French – Amazon / Google Play. German – Amazon / Google Play. Dutch – Amazon / Google Play. No network needed after caching audio files. Talk Thai Phrasebooks are compatible with all devices running Android OS 1.6 and up.